Community Farm, Native bees and worms – oh my! 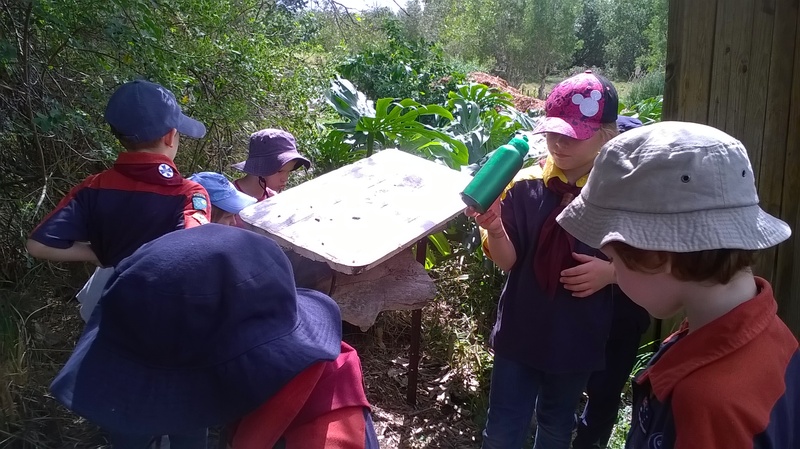 With gloves, hats and a keen sense of wonder the Joeys visited Beelarong Community Farm on Saturday 12 September. 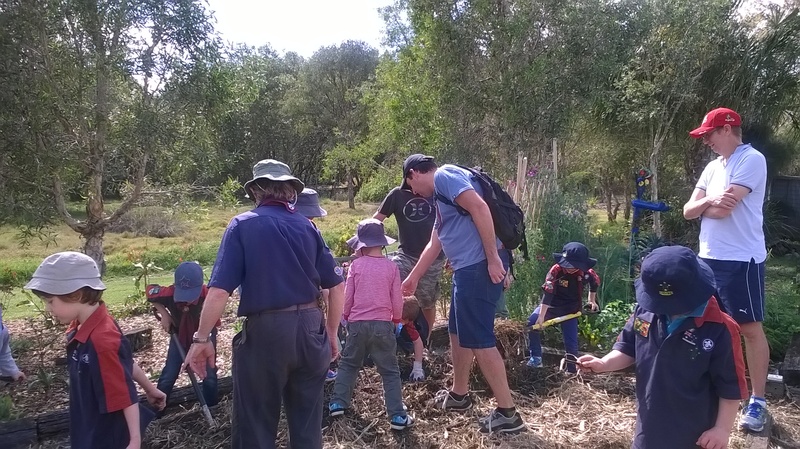 This visit was the final task in the mob earning their international ‘World Scout Environment Badge’ and what a learning experience it was! The joeys met our guide for the day – Mitch. Mitch was a scout in Canada (which the joeys loved hearing about) and was a fantastic guide for the joeys. 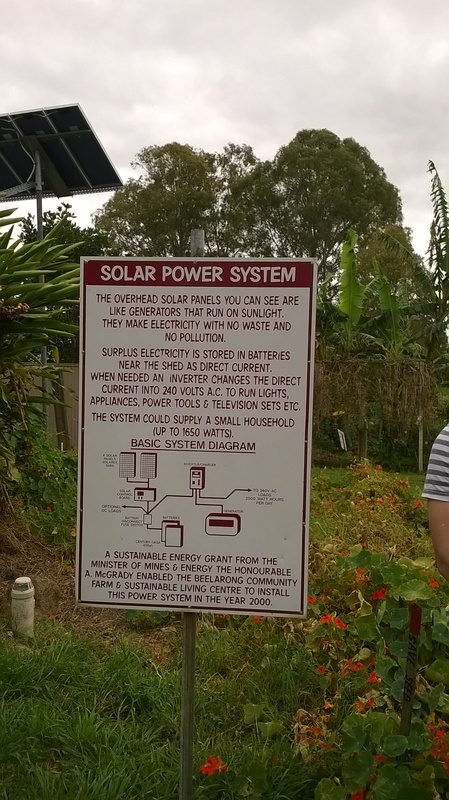 He took them on a tour of the farm and explained the workings of a permaculture community farm to them – how a community farm works and what they grow, what a solar panel is, what is a compost heap,how a grey water system operates and most importantly, how a self composting toilet works. 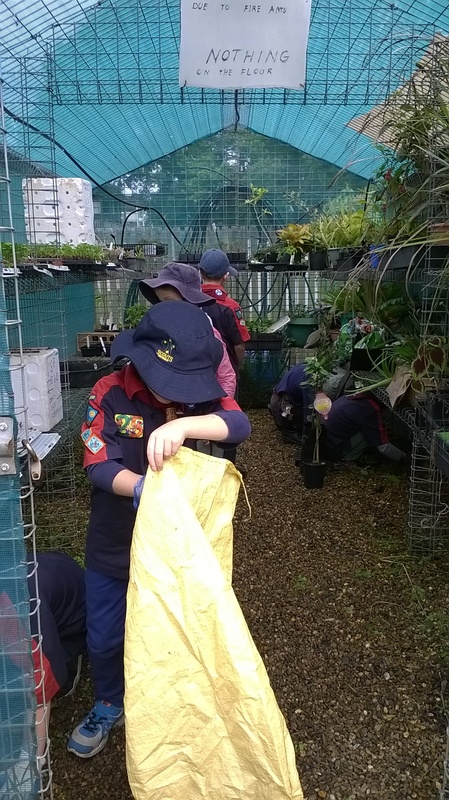 The joeys were given the opportunity to practice their gardening skills and assisted the farm by weeding the seedling greenhouses and popping the collected weeds into the compost heaps. 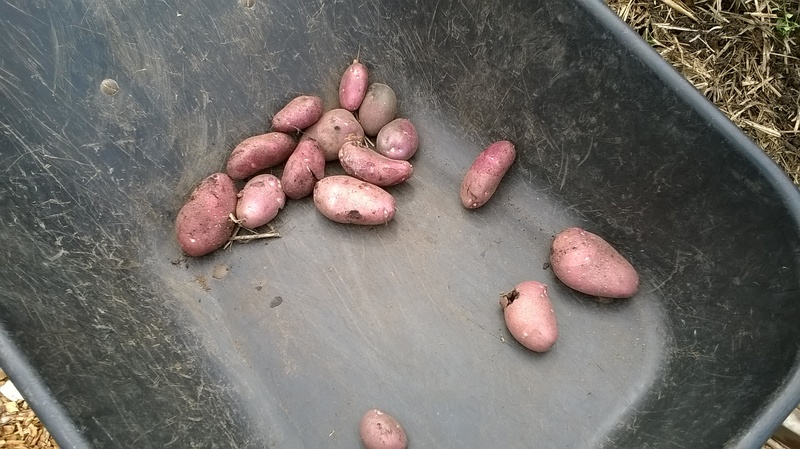 They also had a blast harvesting the potatoes for the community and as a reward were all given a bag of their freshly dug potatoes to take home! 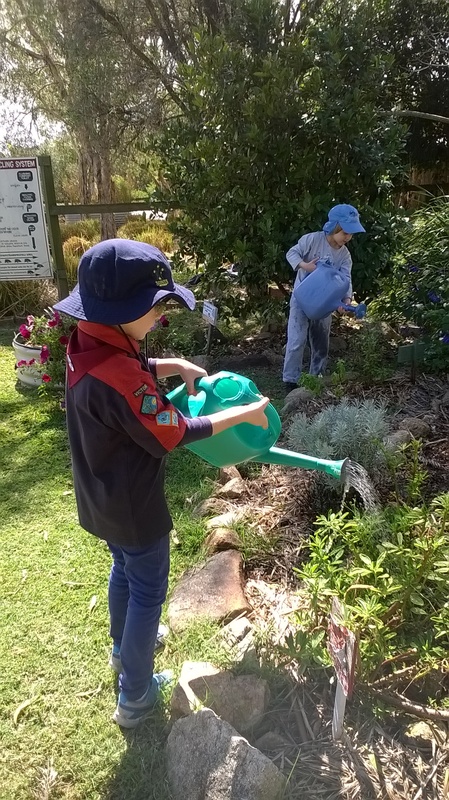 Watering the herb gardens as next on the agenda and the joeys loved seeing the many different kinds of herbs in the garden beds. 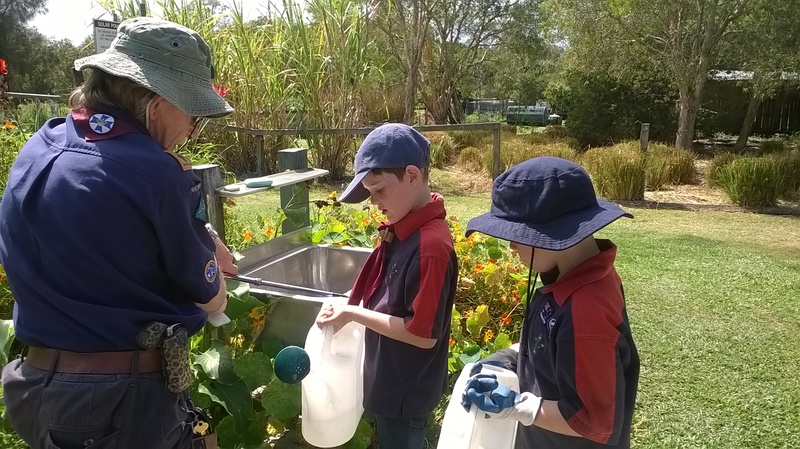 More exciting was filling the watering cans from the rain water tanks. 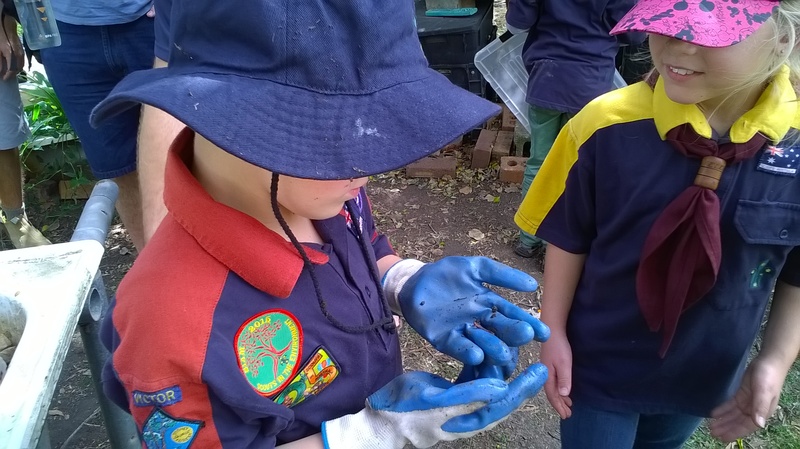 Then it was on to checking out the native bee hives with Kevin (the garden manager) and getting up close and personal with the worms in the worm farms. The very weary joeys were all presented with their World Scout Environment badges to end a very productive and interesting morning. BRAVO to Mitch and Kevin for letting us visit. Information for Beelarong is available at:www.beelarong.org.au and they have open mornings each week if you would like to visit.